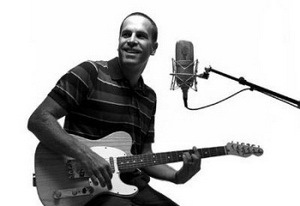 FUNtastic THIRD artist announcement for Bluesfest 21st celebration! The third major round of artists to perform at the 21st Anniversary Bluesfest has today been announced. The great music just keeps on coming in what is fast being considered by the media as the best ever Bluesfest bill – a fitting scenario for a 21st birthday celebration. And there’s still approximately 40 artists yet to be announced! Sadly that was a common response when I mentioned tonight’s gig to friends. Sadly, it was my initial response, too. However, I’ve been told that that is what the show is all about: taking one of Australia’s finest songwriters and exposing his talents to a whole new audience. Kev Carmody has been singing about the realities of Aboriginal society for the past 24 years through blunt protest songs and poetic ballads; blending folk, country, rock and gospel. 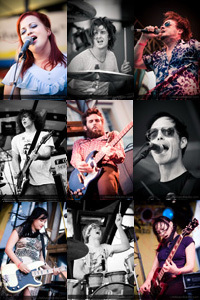 In 2007 Paul Kelly pulled together the who’s who of the Australian music scene and an album was released featuring those singer songwriters performing Kev’s songs. Tonight those artists – including Paul Kelly, Bernard Fanning, Missy Higgins, John Butler, Clare Bowditch, the Herd and the Drones – will take to the stage to honour a man who is very much alive and passionate about his people and his country. The girl can’t help it. She’s surprised and excited and confused. She’s asking questions, making plans and speaking out. Clare Bowditch is just being Clare Bowditch. Elize Strydom catches the fire. 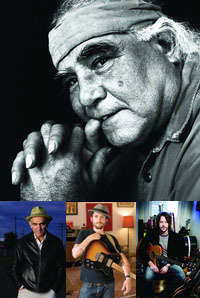 Clare Bowditch is talking about legendary Indigenous singer/songwriter/storyteller Kev Carmody. And she wants you to know about it. On August 1st Bowditch will take to the stage with a swag of other artists including Paul Kelly, Missy Higgins, John Butler, Bernard Fanning and the Drones for Cannot Buy My Soul – a tribute to Carmody and the culmination of the Queensland Music Festival. Kev Carmody, Paul Kelly, Bernard Fanning, John Butler, Missy Higgins, Clare Bowditch, Tex Perkins, The Herd, The Drones and many, many more join forces in a special twilight concert at Brisbane Riverstage to celebrate a unique Australian talent. 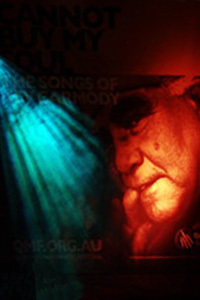 Powerful, versatile and utterly original, for the past 24 years legendary singer songwriter Kev Carmody has evoked the realities of contemporary Aboriginal society with a clarity and grace that has won him fans across Australia and around the world. 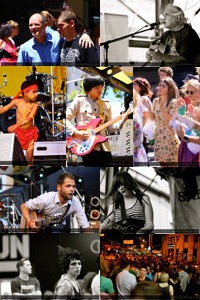 This signature Queensland Music Festival event sees Carmody’s repertoire – from blunt protest songs to poetic ballads – reinterpreted by a thrilling line-up of Australia’s most acclaimed singer songwriters and musicians who contributed to the 2007 album Cannot Buy My Soul, produced by long-time friend and collaborator Paul Kelly.